FAMILY. KINGDOM. SELF. THE FATE OF THE WORLD HINGES ON MAKING THE RIGHT CHOICE. Blood Against Blood: The name of the ancient curse that protects members of the Black Family from murdering each other. But what if circumstances justify the death? What if a family member needs to die? Gift faces this dilemma. A powerful presence has taken over his sister Arianna’s mind, and Arianna rules the Fey. If that presence takes over the Empire, the world will end. But something awful will happen if Gift harms his sister. The Black Throne itself complicates everything. Because the Throne, a living entity in its own right, wants Gift to rule, not Arianna. Does Gift do what’s best for his family? For the Fey Empire? Or for himself? And how can he know what’s best? The magic confuses, the Throne tempts, and his sister’s mind seems gone. Gift must make the right choice or doom everyone—and everything. 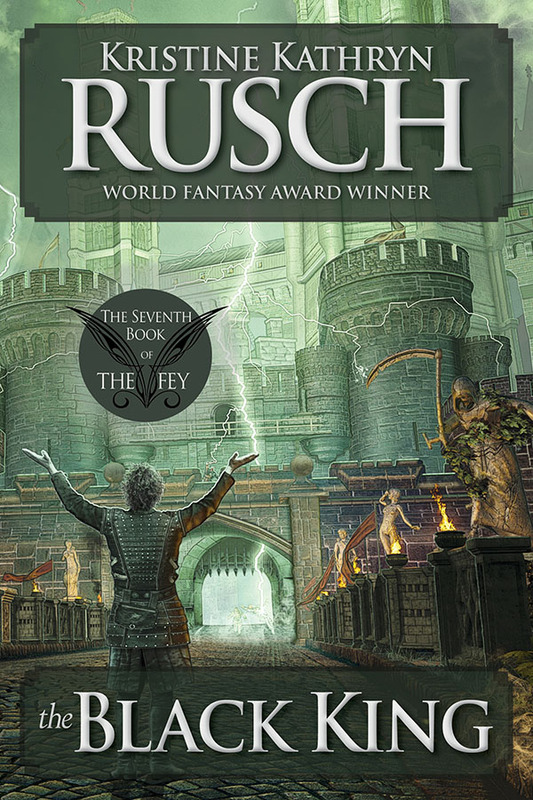 A very good, very large fantasy…nicely done and with a particularly satisfying and unexpected resolution.